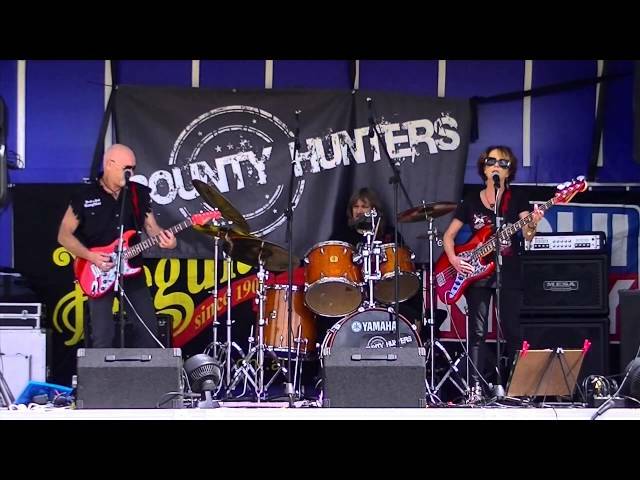 Bounty Hunters are a blues/rock power trio based on the Mid North Coast of NSW. Lyn Hinds is the lead singer & bass player, her husband David Hinds is the lead guitarist and backing vocalist and Rob Lyons is the drummer. They have 3 albums of original music out through MGM Distribution - 2007's Bounty Hunters, 2014's Rise and 2016's Rollercoaster. They can tailor their shows to the venue, playing all originals, all covers, or a mixture of both, all delivered with a high energy performance. Gig: Bounty Hunters Rollercoaster CD Sydney Launch at Paddo RSL! Gig: Bounty Hunters Rollercoaster CD Launch! Gig: Bounty Hunters with Shannon Noll at Grafton Services Club! Gig: Bounty Hunters with Shannon Noll at the Planto Coffs Harbour!